I’m doing it again!! 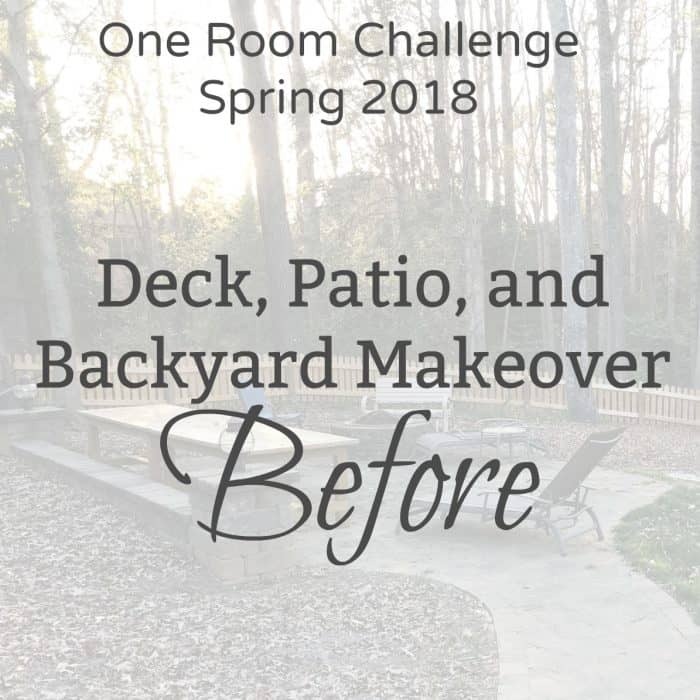 I’ve decided at the very last minute, as in today, to participate in the One Room Challenge Spring 2018 edition hosted my Linda of Calling it Home. 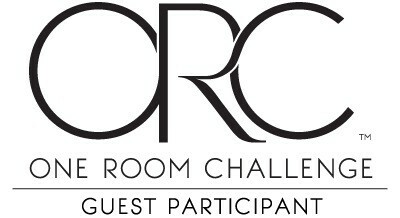 I have completed three spaces for the One Room Challenge over the past few years. It can get a little stressful with deadlines but it is also fun and a great way to get things accomplished. If you found me through the ORC, welcome! I’m Sonya and I’ve been decorating, designing and DIYing for many years and sharing about it since 2013 right here on the blog. Learn more about why I do all of this here. 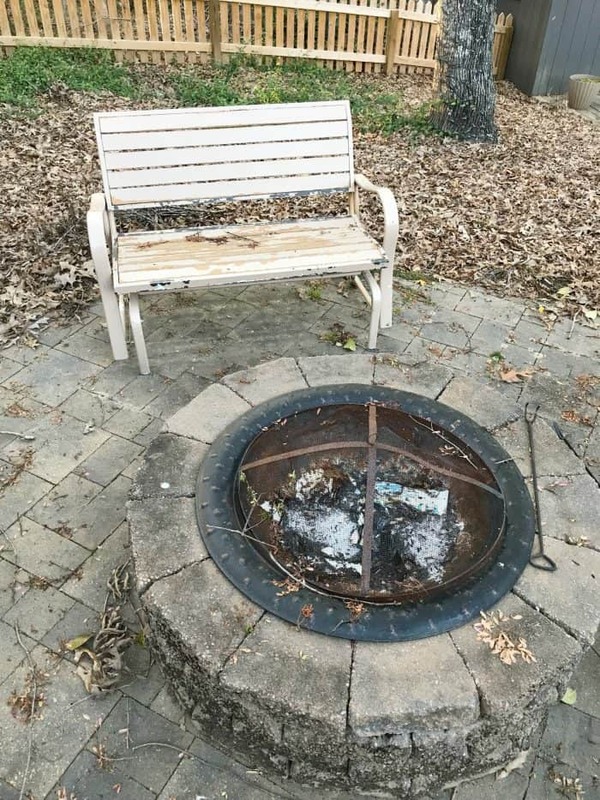 This year I decided to step outside for an outdoor space makeover. 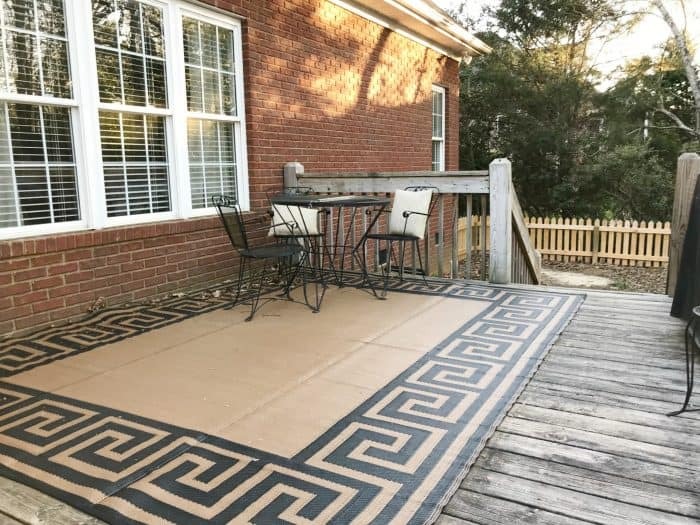 Our deck, patio and backyard will be a huge challenge but I need to get it done. Graduation party looming late May so I should have this makeover completed just in time. There is so much potential here. I do not have anything planned out yet but I do know what needs to be done. Now that I have that list all typed out it seems scary. Here is the deal, I will do what I can, as affordable as I can, in the time I can. I’m not going to pressure myself to live up to a standard that isn’t me. I can’t wait to have you follow along with me. Be sure you follow me on Instagram because I will be adding lots of stories there. 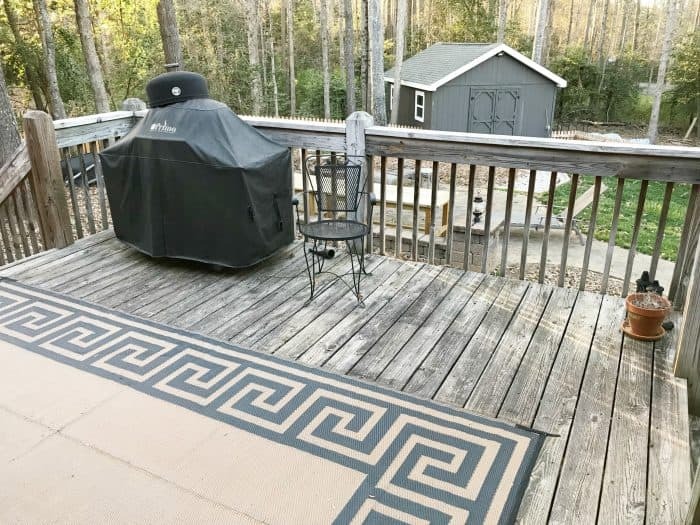 Let’s check out the deck, patio and backyard as it looks currently. Like, really right now. I just took these photos. The fence and farm tables are both built by Ray. The fence was done last summer and the tables about a year and a half. Still need seating. I love hosting crowds so the tables are an absolute blessing. You can see we have a great starting point but things need to look better. Be sure to join me here each Wednesday as I share updates on the entire process. Love those tables. You’ve got a great starting place, looking forward to following along with you! With your beautiful home and backyard as your starting place, this is surly going to be a beautiful reveal. It’ll be so worth all of the work! Can’t wait to see it! LOL, I can not believe Ray found out with the rest of us! 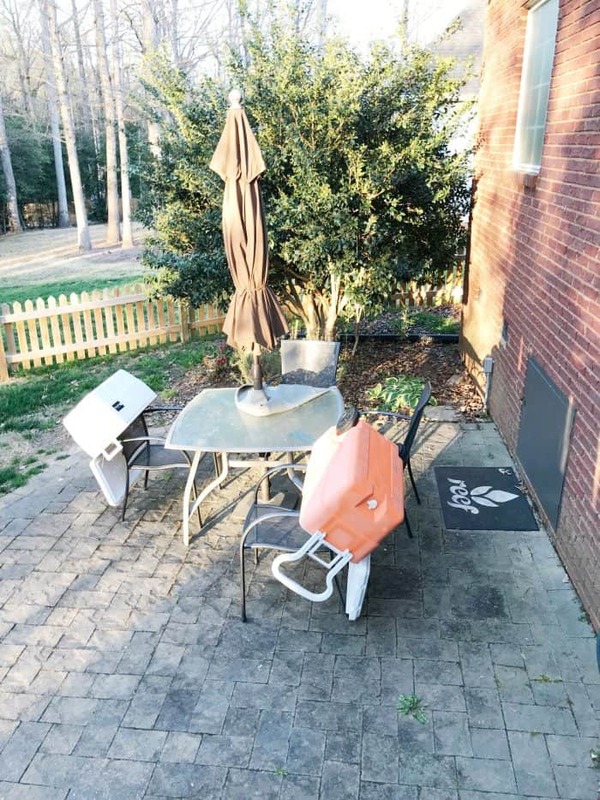 It is going to be a great project especially with summer on the way, you will get so much use out of outdoor living space. Best of Luck! Oh my gosh, you are too funny! I’m crossing my fingers for you that Ray approves 🙂 I am taking on an outside space too so I am excited to follow along! Love your back yard. 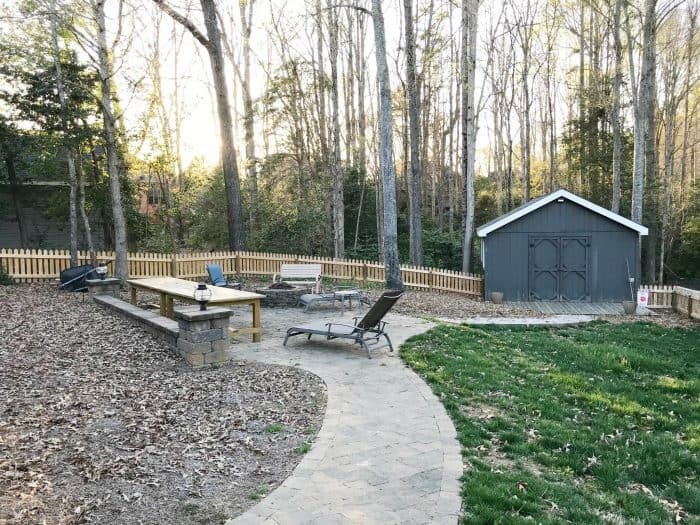 Looks like the perfect place for entertaining! 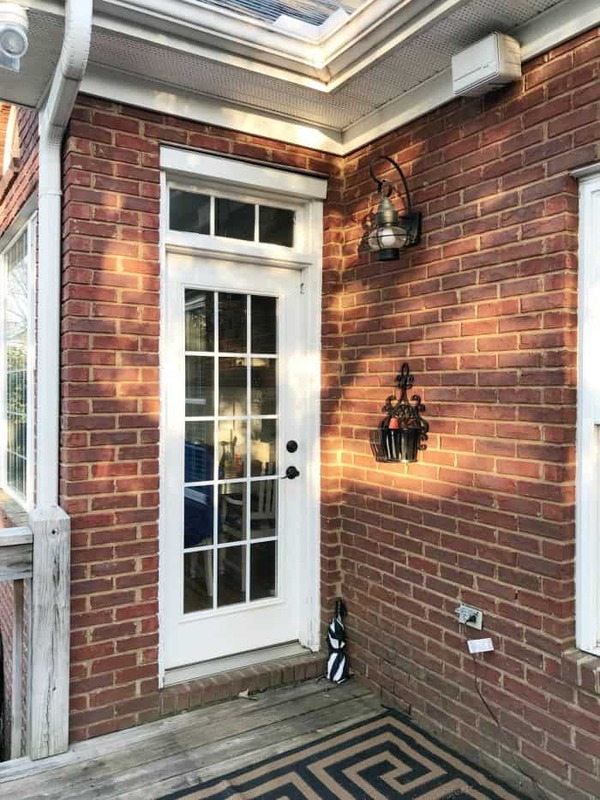 Can’t wait to see what you do with this awesome space! This is such a great entertainment space! I’m excited to see the changes you make and how everything turns out! Too funny! You operate like I do with the announcements to the spouse about new projects via the blog! I hope Ray took the news well, I’m sure he’ll be so fired up when this space is all zhushed up and you can all enjoy it even more this summer! 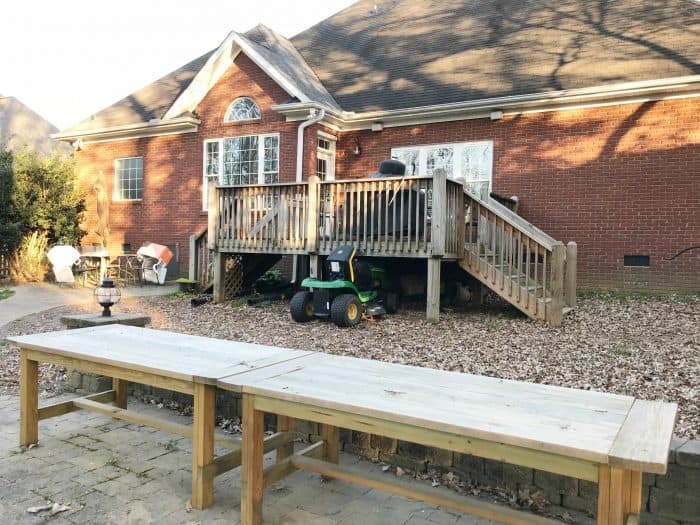 It’s such a great backyard, and I LOVE those big awesome tables Ray built, that is on my to-do list! All your plans sound awesome and I can’t wait to see it all play out….all your hard work will be so worth it! I have done that to my hubby both times I have participated, lol!! Thank goodness they love us. 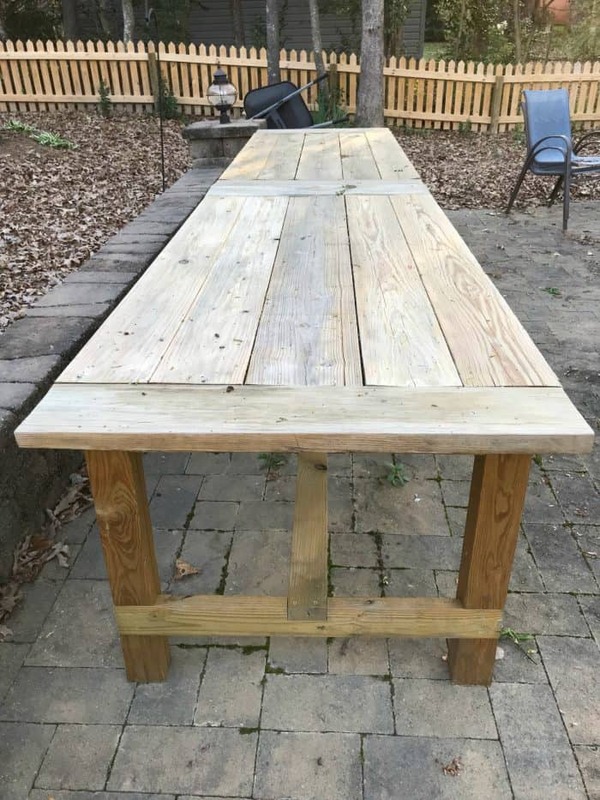 I love those tables, they are amazing and I can’t wait to follow along!